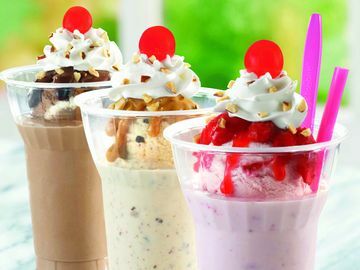 August 5th is National Friendship Day, and we could not think of a better way to celebrate than by giving out free samples of our NEW Ice Cream Freezes – which are all about “friendships” between delicious beverages and all of our ice cream flavors – for guests to enjoy with their friends! You do not want to miss this celebration, so be sure to join us at your local Baskin-Robbins on Sunday, August 5th between 3-7p.m. and try a free sample of these delicious, refreshing beverages. While you can sample our Ice Cream Freezes at all participating Baskin-Robbins locations, our friends at Monster Energy® will be joining the fun for special events at the below locations as we sample our NEW Monster Energy® and Wild ’n Reckless Sherbet Freeze! You might be wondering, what exactly is an Ice Cream Freeze? They are refreshing, customizable beverages that can be made with your choice of a bottled or canned beverage and any hard scoop ice cream flavor. 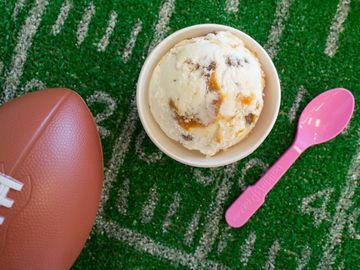 To get the inside scoop on this unique product lineup, we connected with Steven McKinney, Senior Research and Development Technologist from the Baskin-Robbins culinary team. Steven sees Freezes as an opportunity to enjoy all of our ice cream scoops like sorbets, ices, sherbets and regular hard scoops, in one customizable beverage lineup. “You can go from indulgent to refreshing, and that is one of the best parts of this flexible format,” said Steven. For example, Sprite® pairs well with fruit-flavored sherbets, sorbets, and ices for a lighter, sweet treat, while Coke® and Barq’s® Root Beer go well with ice cream flavors for something a little more indulgent. 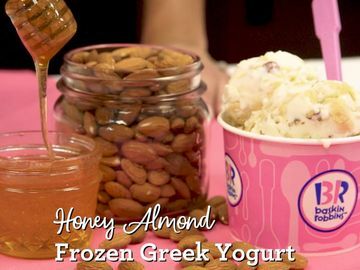 Looking for something to energize you and also keep you cool during one of the hottest months of the year? Our Monster Energy® or NOS® Energy Drink and Wild ‘n Reckless Sherbet Freeze (limited time offer, available through August 31st) will do just that! 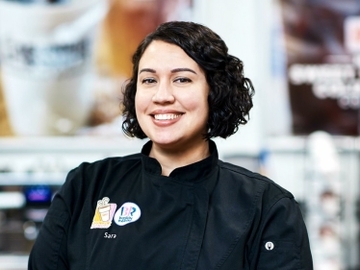 Our Ice Cream Freezes bring the opportunity for mixology and to create something uniquely you. 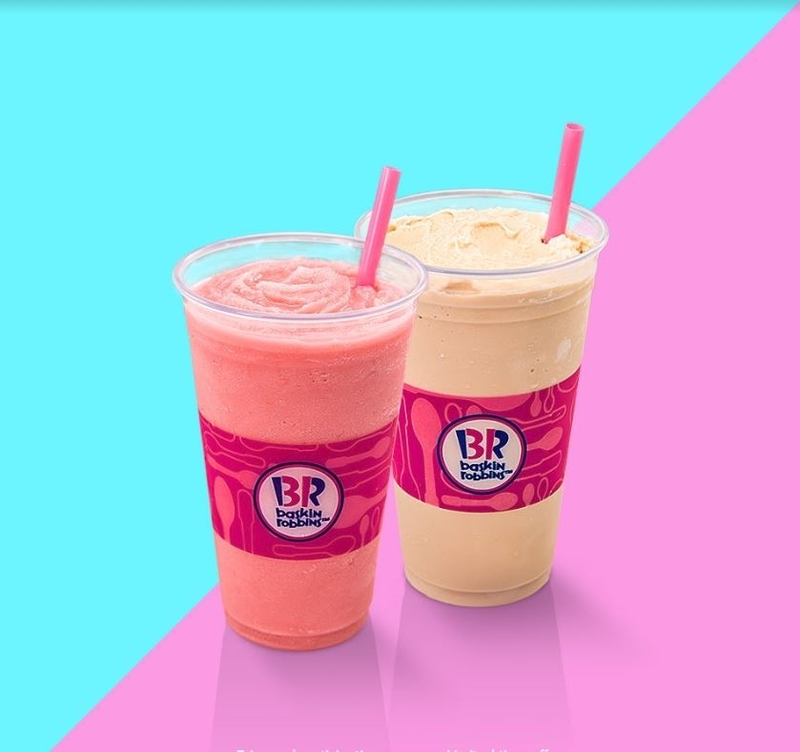 Baskin-Robbins invites guests to experiment and come up with their own Ice Cream Freeze beverage and flavor pairings - like Coke® and Cherries Jubilee to make a Cherry Coke Freeze®. You can even go completely non-dairy with Steven’s personal favorite combination of Horchata Ice and Coke®. 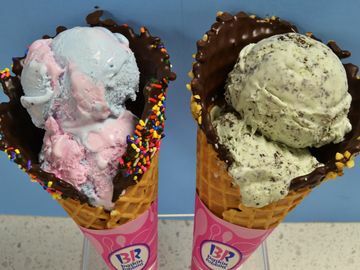 How are you celebrating National Friendship Day with Baskin-Robbins? Let us know on Facebook, Twitter, and Instagram.